Today is the final day in the E-Beth Designs Lorelei Women's Blog Tour and Giveaway! Save the best for last right? HA! I am totally kidding. Have you seen the amazing dresses that have come before mine? I mean WOW!! This is one group of talented ladies. 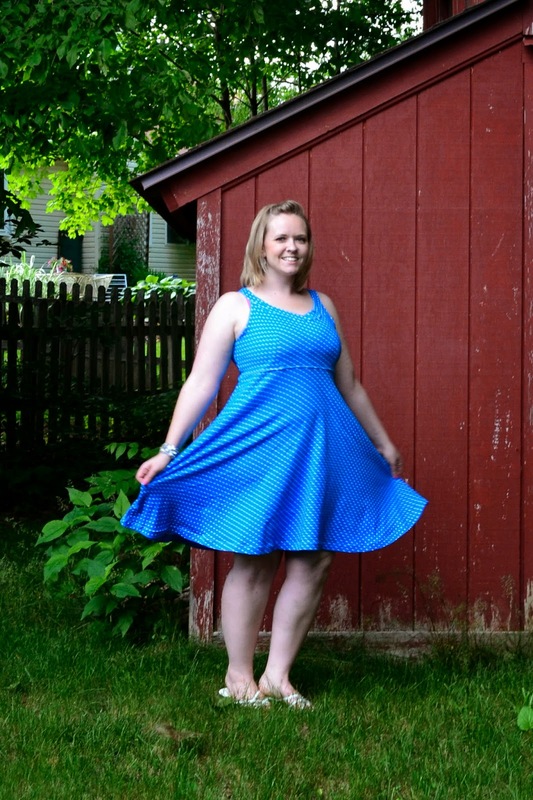 I was lucky enough to be able to test the Lorelei Women's dress pattern back in April. I made my Easter dress with this pattern using the underskirt and tulle for a more formal look and I loved it. It is a coral lace over a light pink satin. 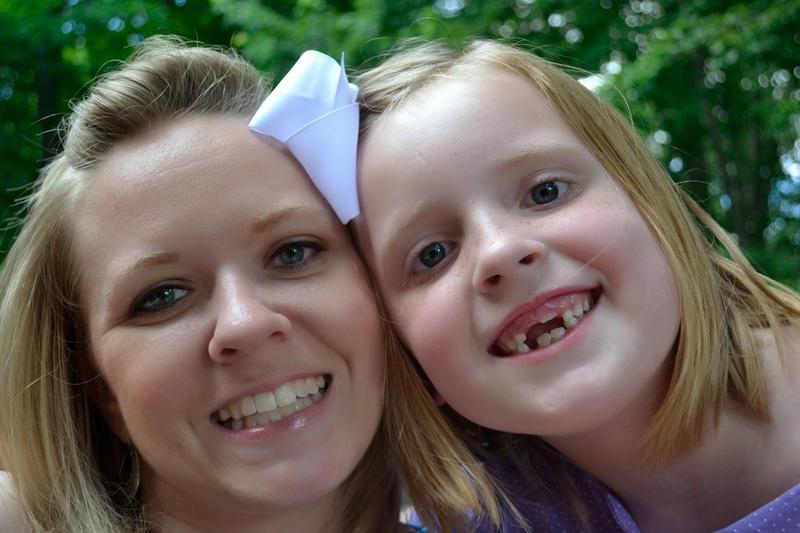 My girls and I even had a twirl-off after church. It was so girly and fun. When the blog tour was announced I jumped at the chance to make another version of this dress. This time I went for a more casual look. This dress is made from a knit I scored for $3 a yard at Joann's during their 50% off red tag sale. This dress is lined on the top only and it just sewn straight up the back. Since it is knit there is no need for a zipper. Win, win, right? So here are some pics of my knit Lorelei. This dress is offered in 12 different sizes, 00 to 20, with cups A-DD. There is no need to do a FBA like in other patterns. For me that is awesome. I usually have to adapt a pattern quite a bit to get it to fit me. I'm short (5'4") and very pear shaped but I was able to make one size throughout the whole pattern to get the look I wanted. I would recommend going down a size if you are using knits if it has a bit of stretch to it. I can't wait to sew up some Lorelei dresses for my girls and their dolls for summer. They love easy to wear dresses and I love dresses that they can put on and take off without fuss. If you get a chance please go visit these other blogs. These ladies did a phenomenal job on their dresses and tops. E-Beth Designs is also doing a discount of $3.00 off the Lorelei Women’s Dress Pattern in the Pattern Shop using coupon code: blogtour. Last but not least you can enter to win a free copy of the Lorelei Women’s Dress Pattern below (if you purchase first then win, your money will be refunded)! There will be 3 winners! You look great and your daughter did a great job with the photos! :) I really need to try it in knit now! You should. It makes for such a comfy summer dress. Love this dress and you look absolutely fantastic in both! Erin, I love to see you making clothes for yourself. You look so stunning. Love the background in your pictures too. Maddie certainly is becoming a talented photographer. And, the last picture is PRECIOUS!